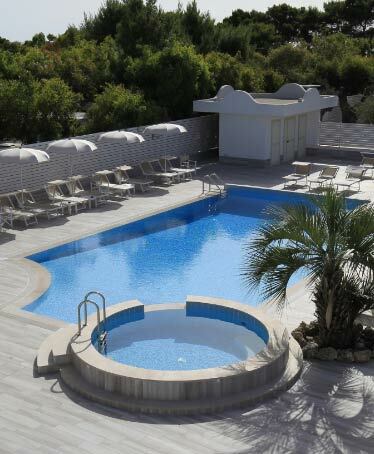 Garden Hotel Ripa is the ideal solution for those who are looking for a hotel by the sea, on the Gargano. Swimming pool, private beach, traditional cuisine, comfortable and elegant rooms… In our hotel, you will find everything you are looking for... for a holiday, directly by the sea of Vieste. Come and discover the many comforts of our hotel and let yourself be seduced by our privileged position: we are in fact immersed in a large 9.000 sqm green park, just in front of the sea… Here the blue water suddenly meets with the green luxuriant garden, for a unique and unrepeatable experience, that only the Gargano and its locations can offer you.